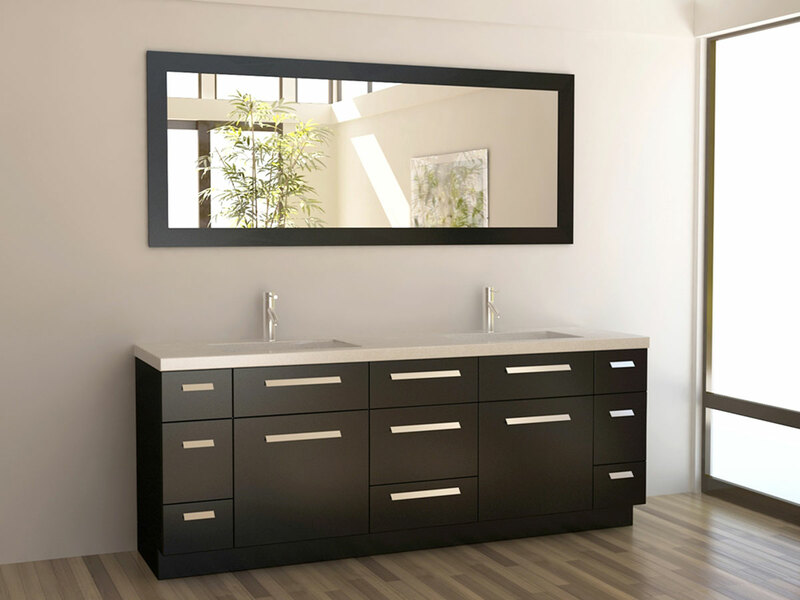 The Moscony Double Vanity features the clean lines and minimalist design that make for a truly stylish modern bathroom vanity. The rich espresso finish contrasts the satin nickel hardware and counter top, further adding to its modern appeal. The quartz counter top is extremely hygienic, durable and low-maintenance. 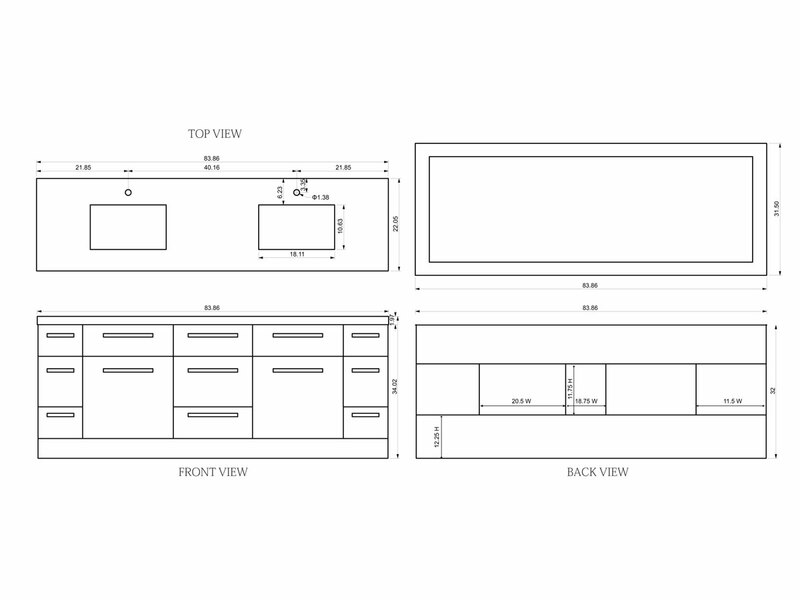 With six drawers and five cabinets, you'll have room to store all of your bathroom accessories and supplies. The matching framed mirror is included with this set, although you may find it difficult to take your eye off of this handsome bathroom vanity.